With IFFR 2019 behind us, from 6 March we will pick up the thread with the third season of IFFR KINO. Every first Wednesday of the month, an IFFR classic we believe deserves to be seen more widely. This spring, we are devoting special attention to four unique film auteurs, each with their own distinctive visual style. Claire Denis’ latest film (and her first in English), the science fictionfilm High Life, screened at IFFR 2019. A good excuse, we thought, to show another genre film from earlier in her career: the vampire horror film Trouble Everyday, on 35 mm. Last IFFR, we were honoured to host a masterclass by Denis, one of Europe’s leading film auteurs, in which she talked in depth about her extensive, highly individual career. Trouble Everyday is a good example of this: a film in which she gives her highly distinctive take on the vampire film, while undermining stylistic devices and the conventions of the genre. The lead roles in this blood and lust-filled horror are played by Vincent Gallo and Béatrice Dalle. The film music is by Tindersticks. Season 3 of IFFR KINO continues on Wednesday, 6 March, with Claire Denis’ Trouble Everyday, in which the celebrated French director gives her own unique twist to the vampire genre. On 35 mm, with Vincent Gallo and Béatrice Dalle. Not for the faint-hearted: Heli by Amat Escalante. But that’s not why we’re showing this film. Escalante is a real IFFR man, and one of the major voices in contemporary Latin-American cinema. This film screened at IFFR in 2014. 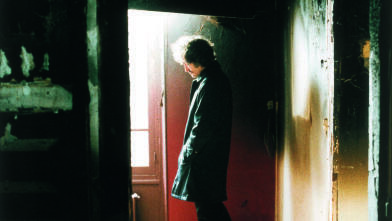 Only his third feature-length fiction film, it won him best director in Cannes. Like his first two features, Sangre and Los bastardos, this film was made with support from IFFR’s international co-production market, CineMart. Heli is aboutareallygood kid who, through a wrong decision, ends up in the hands of a drugs cartel. Although the horrors that follow are truly appalling, Escalante presents them without sensation, but rather in a very naturalistic way. Which makes their impact all the greater. For IFFR KINO lovers with a strong stomach: on Wednesday, 3 April, we are showing Amat Escalante’s Heli, a hard-as-nails, pitch-black drama about unavoidable violence in Amat Escalante’s totally corrupt home country of Mexico. Last autumn, Peter Strickland’s latest film In Fabric had its world premiere in Toronto. This stylish, hilarious homage to the Italian horror genre, about a red dress with satanic powers, immediately made us yearn to show his previous stylistic masterpiece, The Duke of Burgundy, again. This third film from the director of Berberian Sound Studio was inspired by the sixties sexploitation films of Spanish cult director Jess Franco and others. Strickland’s approach to this genre is just as deadly serious and loving, allowing him to unfold a scintillating and witty ­­– but never silly or camp – spectacle. Visually stunning, as we have come to expect from this maker. The eponymous ‘duke’ is not an exciting, mysterious nobleman, but rather a rare butterfly. Protagonist Cynthia is a butterfly expert caught up in an SM relationship with her submissive housekeeper Evelyn. In the fantasy world they create together, it is increasingly unclear which of the two really has the upper hand. We always like to close the season in the best possible style, so we are presenting a film by one of our very favourite directors: Dolls by Kitano Takeshi. Kitano, with his fantastically recognisable image, is a man of many faces: comedian, actor, (screen)writer, cartoonist, painter and director. Remarkably enough, he started both his acting career (1972) and his career as a director (1989) standing in for someone else. Since his debut, Violent Cop,he has made some twenty films, sixteen of which have screened here at IFFR. 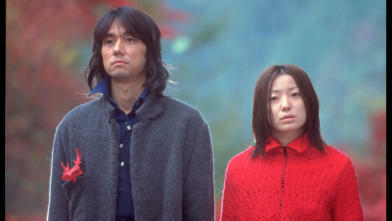 Kitano is known mainly for his yakuza, samurai or otherwise bloodthirsty characters, but he has also made softer films. In Dolls, he takes us, in beautiful primary colours, into the traditional Japanese puppet theatre, bunraku. We follow three romantic tragedies in contemporary Japan through the eyes of a puppet (doll). On 5 June, we will close the third season of IFFR KINO with a film by one of IFFR’s favourite filmmakers: Dolls by Kitano Takeshi. In Dolls, Kitano cuts back and forth between three romantic tragedies that are set in an only slightly stylised version of today's Japan, with plenty of attention for decorum and still drama. See the IFFR classics coming up in our brand-new season. A selection spanning the whole spectrum of weird.